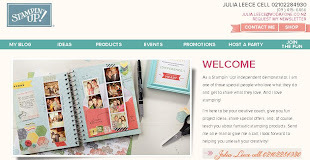 Julia's Cards: Let's take it to the next level! Here is a similar card to the one I posted the other day but it's been stepped up a wee bit. 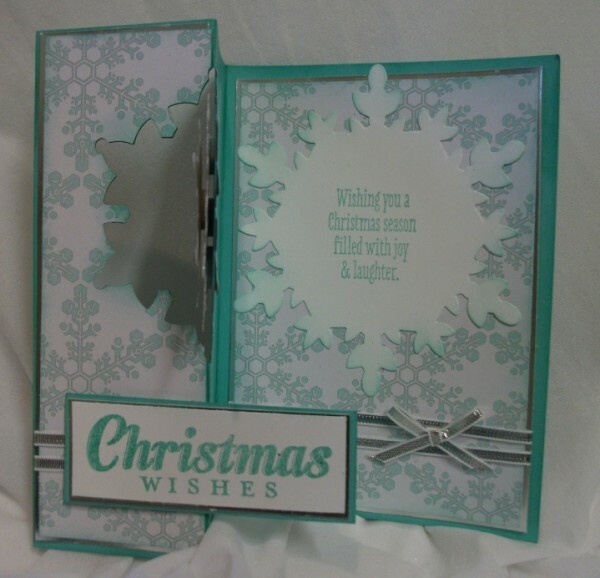 I LOVE this DSP specialty pack-Winter Frost (132341 $26.95) and of cause ANY card that has the lovely shimmer card just has to be good!! 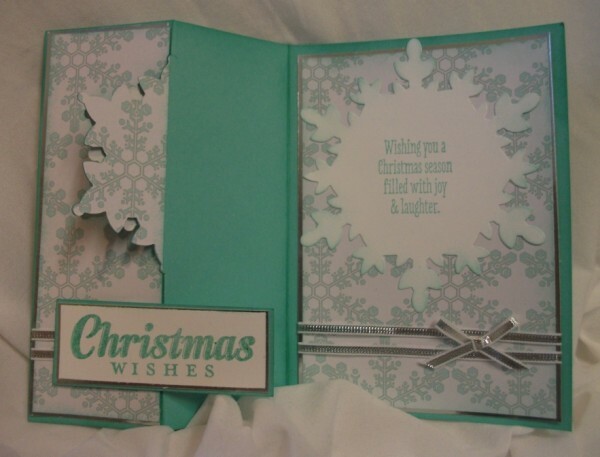 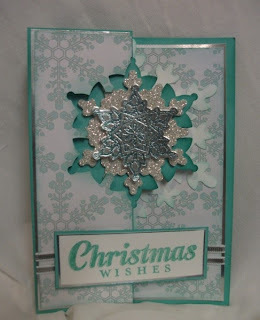 The card base is Coastal Cabana and I've used both that colour and Bermuda Bay for the stamping and sponging. AND even though we have Christmas in the middle of summer down here in New Zealand I still love the look of the Festive Flurry stamps and Framelits for Christmas things.